-MeteorJS, ReactJS and NodeJS frameworks. 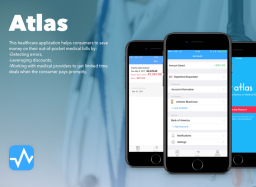 - Development of both client and server sides of the app. - Experience in working with various databases (MySQL, MongoDB, Neo4j). - Locate and fix bugs. - IDE - Visual Studio Code. - Development of responsive design for mobile and tablets. Develop from the ground /edit functionality for back-end and admin panels. Updated the HTML layout for admin panels and landing page. Add the Instagram feed to a landing page. Refactor and rewrite legacy code. Fix bugs from previous developers. Create new auto mailing templates Optimization for iPhone X Now the project is in the support stage. The application provides detailed information about gym centers: suitable location, gym description, actual photos, services, and price. The benefit of using Zym app is that is not necessary to buy an annual or month ticket to the gym. 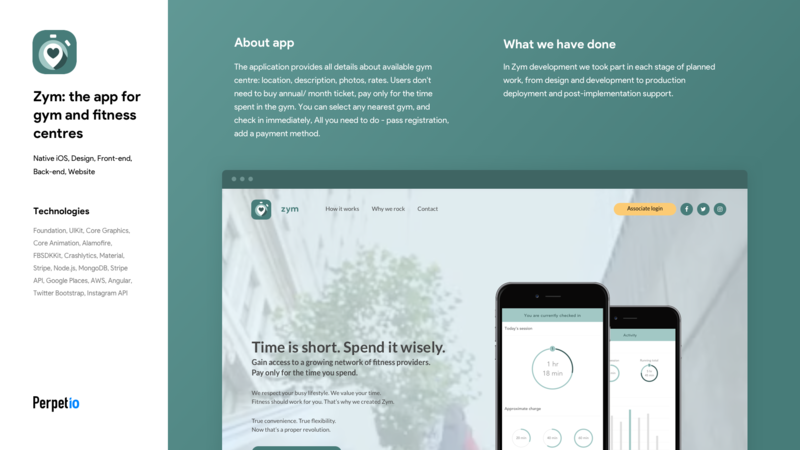 Zym enables gyms visitors to pay via in-app payments (Stripe) for the number of hours spent on the gym. Zym covers UK and some areas of the United States. 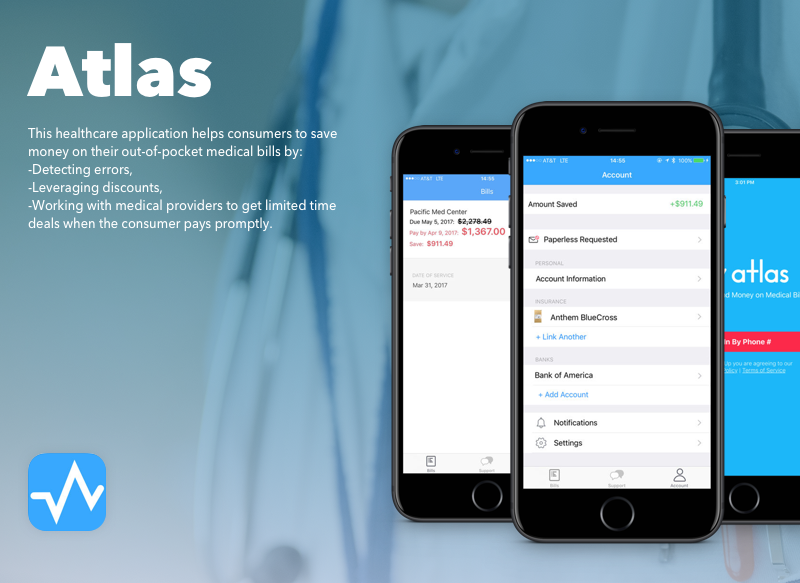 Atlas partners with organizations to save their members money on out-of-pocket medical expenses. -Design and create the database structure -Write well designed, testable, efficient code -Create a website layout/user interface by using standard HTML/CSS practices. Fully use all the advantages from React.js library to make the website more -dynamic, productive and with high performance -Integrate data from the back-end -Gather and refine specifications and requirements based on technical needs. HR Space is a web app for companies that allows: - storing and managing personal information about employees - manage (accept/decline) employee's vacations and days off - ease hire and dismissal processes The screens are not available as the project is under NDA. -Building front-end with ReactJS -Connecting it to an existing parse- server. -Adding more functionality to the server. - Web admin dashboard for City Guide mobile application. Briefly about the app - The application was created to discover places, services etc. - Users can view or upload photos of the place/service, leave replies and rate the quality. App consists of offers from restaurants, cafes, shops, tourist attractions, hotels, as well as the everyday essentials such as taxi ranks, petrol stations, emergency services, car parks and more. Powerful interactive maps make it easy to see where you are and where you want to go. CityGuide Gibraltar is designed, built and maintained locally, by people who live in Gibraltar. Development of server API for the mobile application using Node.js and MySQL database. Mobile clone app of Instagram. Using the application you can create an online store, where you can sell products that your business provides.